CLICK HERE to watch this life-changing, world-changing webinar. This motivational message has been presented over 1,500 times in 49 states and more than 20 foreign countries. 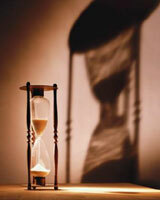 It presents a serious challenge to every Christian to consider the brevity of life and the value of time. It gives practical ways to invest time in ways that will matter most in eternity. Why is it so important to redeem the time? Blessings to CHOOSE to Redeem Your Time! ← #WFJ: Come Home My Children – I AM Throwing a Party!